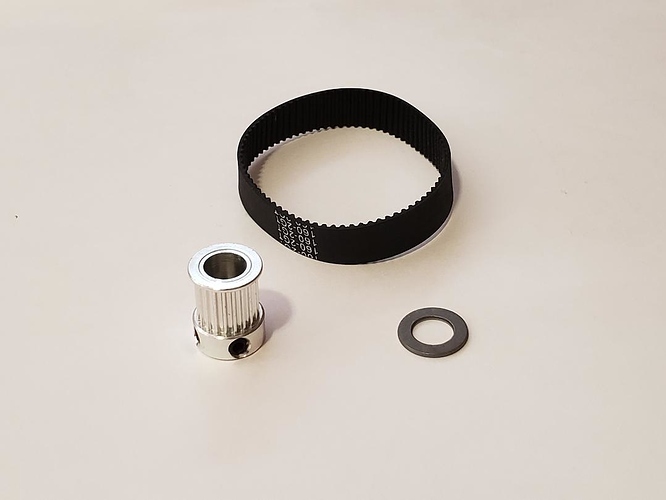 I have put together some complete kits to upgrade your Z axis belt to a 9mm profile. This is a simple bolt on kit that will improve durability and reduce backlash. 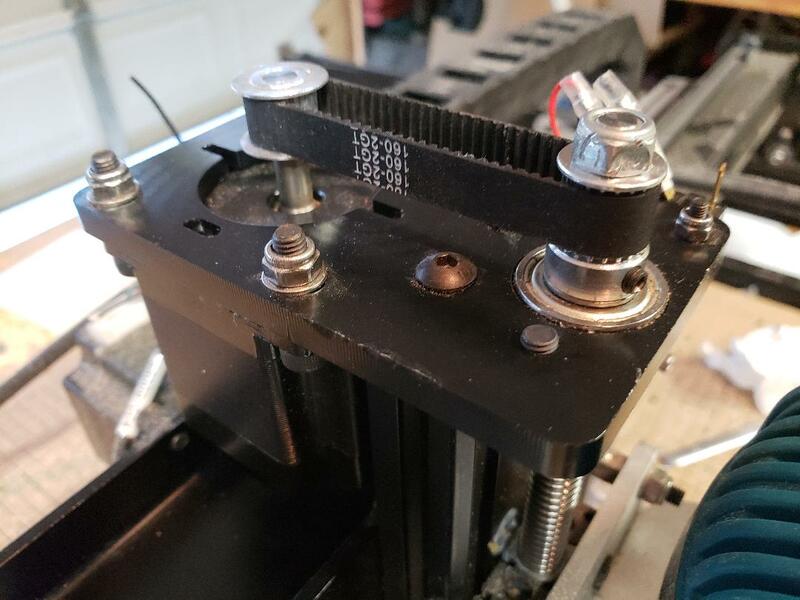 This will also improve accuracy of z axis height. The 6mm belt used on these machines are prone to breaking and losing teeth. They also allow for some extra backlash in Z. 2 kit versions to choose from. 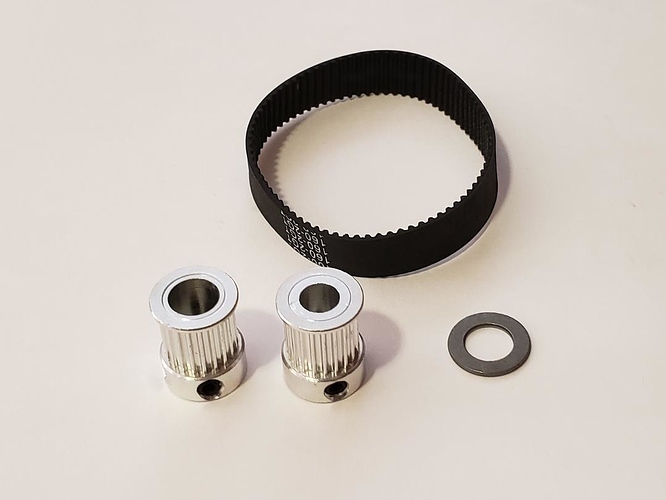 Kit for newer machines with pressed on stepper pulley is $9.99 + $3.99 usps postage. Kit for older machines with set screw type pulley is $12.99 + $3.99 usps postage. My pulleys are M4 threaded set screws and have better reliability than the m3 threaded pulleys provided by inventables. Our first batch of 40 sold out quickly, but we just replenished stock on these. Also take a moment and check out my install video. I have more kits back in stock. Now have over 100 happy customers.